In reaction to seeing man lighting his nose on Fire. 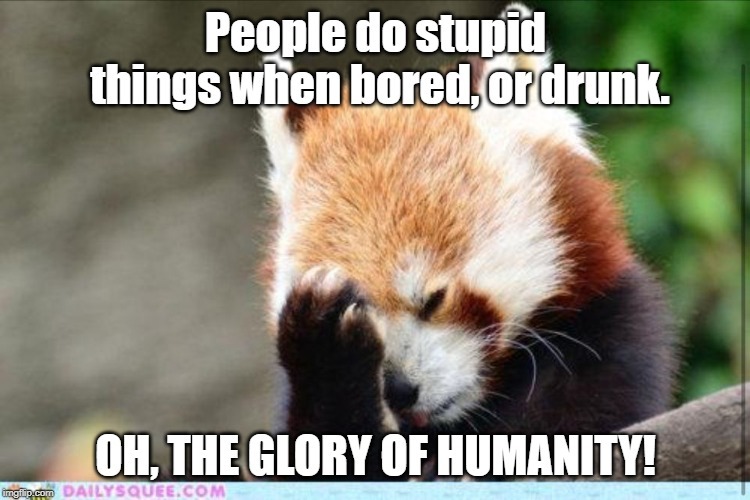 People do stupid things when bored, or drunk. OH, THE GLORY OF HUMANITY!